Ben Thompson began his BBC career in 2001 at Radio Wales in Cardiff. Whilst studying at university, he produced the network’s morning news programme, Good Morning Wales. He was then selected as a BBC Trainee Scheme, working in different parts of the newsroom and getting a taste for television. In 2008, Ben moved in front of the camera to become the BBC’s Middle East Business Correspondent. Based in Dubai in the United Arab Emirates, Ben spent three years travelling the length and breadth of the region including Egypt, Algeria, Syria, Lebanon, Jordan, Qatar, Kuwait and Saudi Arabia. Particularly challenging stories included covering the Dubai Financial Crisis, reporting from Egypt and Tunisia during the ‘Arab Spring’ uprisings and the growing tensions in Syria. But in his down time, Ben made the most of the sunshine and beaches to learn to kite-surf. Soon after, Ben moved to New York to become the BBC’s North America Business Correspondent. On Wall Street every morning, he reported live the floor of the New York Stock Exchange, before meeting business leaders, technology entrepreneurs and international investors in one of the world’s financial capitals. With the financial crisis still dominating the headlines, it proved to be a particularly volatile period for global stock markets. 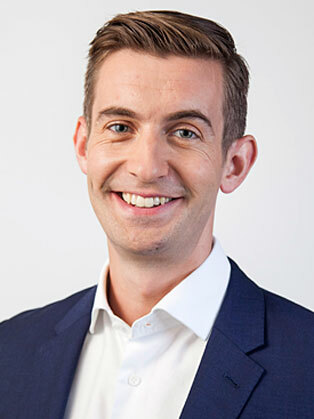 Now based back in the UK, Ben presents the business news on Breakfast every Friday and co-hosts BBC Business Live on Monday-Thursday. It’s a programme broadcast around the world on the BBC News Channel and BBC World News. The daily show brings an international perspective on the big business news stories of the day, including a look back at what happened overnight in Asia and a full briefing on the trading day ahead in Europe and the US. When he’s not at work, Ben enjoys travelling, photography, music and theatre.